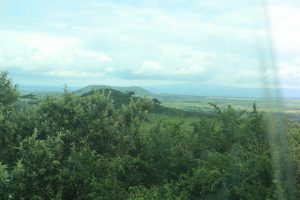 It was our first day in Maai Mahiu, the town where Rift Valley Fellowship is located. Before arriving, some information about Maai Mahiu was given to us. We were told there is much prostitution due to the town being a large truck stop. Ninety percent of the population is HIV positive. 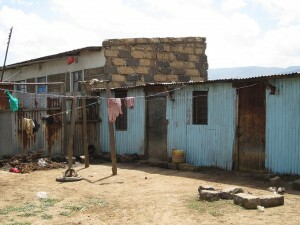 Many of the children are not able to attend school due to lack of school fees. However, it was not until we arrived in Maai Mahiu that this information took life before my eyes. We pulled into Rift Valley Fellowship, the church Isaac and Esther started. There were several women waiting to meet us. Some were older and some younger. Esther shared a little bit of information about the younger women. There were four of them—Salome, Salome, Jane, and Marcy. They were between the ages of 14 and 19. They are currently not in school because of the inability to pay school fees. Some of their mothers are prostitutes, some are not. It quickly became clear to me the reality that if they do not attend school, their likelihood of ending up in prostitution is very high. We split up into two groups to visit these young women’s homes to pray for them and to see where they live. I ended up with Jane, 16, and Marcy, 19. Jane’s home was the first home we visited (it’s pictured to the right and is only the first window and door). Seven of us tightly packed into her home, which was one room divided with a curtain. Jane began to explain how she lives here with her seven siblings and her mother. I began to cry as I looked at the seven of us packed into her home and thought about the number of people who live and sleep here daily. I was able to get a glimpse into Jane’s life, and the more I saw, the more I realized how difficult her circumstances are compared to my comfortable life in America. Yet here Jane and Marcy were, walking with us because they chose to attend Rift Valley Fellowship. No one was forcing them to go. Out of all the places they could choose to go, they picked this church. 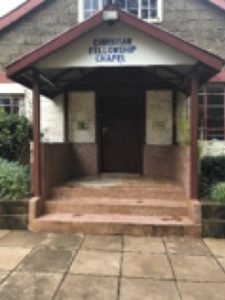 Rift Valley Fellowship creates a safe place for Jane and Marcy to be young women, where they can dream and where they can be off the streets. In this time with Jane and Marcy, I began to see how the cycle of poverty works. If education is taken out of the picture, there is great likelihood prostitution will enter. If a parent is in prostitution, the likelihood is even greater because it’s a cycle that repeats itself through generations. Before the trip, I understood poverty to be a cycle. But in this moment the cycle of poverty seemed very real and more complex than I had ever thought before. And it was in this moment I was thankful for the ministry of Rift Valley Fellowship. I could see how the ministry was intervening in this cycle of poverty and more specifically, intervening in the cycle of prostitution. One of the readings we were given talked about the idea of a holistic Gospel, which means the Gospel is directed at the whole person—physically and spiritually. The ministry of Rift Valley Fellowship understands the need for a holistic Gospel. Not only are they meeting the spiritual needs of these young girls, but they realize the need to meet physical needs as well. And sometimes physical needs may come before the spiritual needs. But in fulfilling physical needs, Rift Valley Fellowship is able to create a safe environment to talk about spiritual matters. Not only is Rift Valley Fellowship praying for school fees, but they are trying to find people or other sources to pay for school fees. They know many of these young women are left without much to eat, so on Wednesdays and Sundays they provide a meal. Esther spends time with Jane and Marcy. She knows their stories. And she even tries to talk to their mothers to ensure they are being kept off the street. Rift Valley Fellowship is intervening in the cycle of poverty being recreated in Maai Mahiu by meeting physical and spiritual needs. Prostitutes are being set free and restored. And young women are being kept out of the cycle of prostitution. 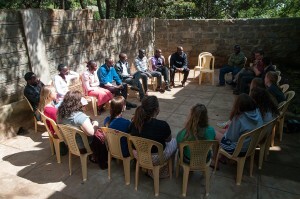 The kingdom of God is being advanced through Rift Valley Fellowship’s holistic view of the Gospel.